Your home is your sanctuary. 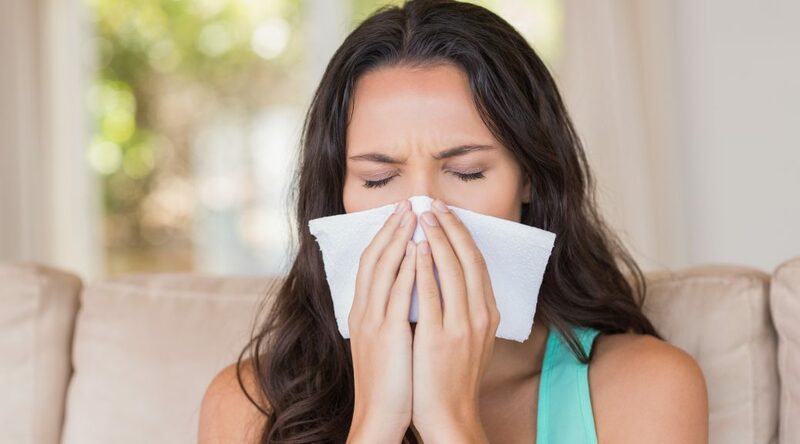 So if you notice a chronically runny nose, itchy eyes, or year-round congestion, it might be because your sanctuary is chock-full of allergens…and that you have an allergy to something in your house. Most modern homes are outfitted to be tightly sealed and draft-free – which is great, as this makes them more energy efficient. But this feature also means whatever allergens and contaminants are floating around inside your home are there to stay – which can be bad news for anyone with asthma or allergies who’s living under your roof. But there’s hope! With the right tools and some clever new ideas, you can redefine the idea of clean – and bring a whole new level of freshness to your home. Don’t let your allergy (or allergy-season!) define you! Reducing the allergens in your home can start before you ever set foot across the threshold! A great deal of the debris and dirt we bring into our house comes from the bottoms of our shoes. Believe it or not, a bristled doormat placed at each door can considerably cut down the amount of dirt, pollen, dander and bacteria you unknowingly bring into your home. Leaving shoes either outside, or on a designated rubber mat in the foyer, can further help eliminate the spread of outside allergens. If you’re not using the exhaust fans in your bathrooms, kitchen or any other rooms where it’s available, you should start! In humid-prone spaces, like bathrooms, exhaust fans can help remove excess moisture from steam and condensation. If there’s too much humidity in a home, it can cause mold and mildew, which isn’t only stinky, it’s unhealthy. Vent fans in kitchens can also help reduce cooking odors and chemical fumes caused by cleaning. If possible, exhaust fans should vent to the outside of the home, instead of another location inside the home. That only recirculates the allergen-laden air, which isn’t ideal. Proper vacuuming is one of the best things you can do to eliminate allergens from your home. Allergens easily become embedded in soft, upholstered surfaces (like sofas and drapes) as well as in carpet. A quality, high-powered vacuum is a must; also choose a vacuum with a HEPA filter. A true HEPA filter significantly improves indoor air quality by trapping and retaining 99.97% of particles as small as 0.3 microns. Our favorite vacuum is the Lux Guardian Platinum by Aerus. This high-powered, exceptionally quiet vacuum is equipped with two sealed HEPA filters, ensuring the tiniest contaminants are captured and only clean air is released. Dust mites are often thought to be allergenic, but it’s not actually the mite itself people are allergic to: it’s their feces. We know: yuck! Dust mites love living in warm, damp places, and upholstered surfaces are a particular favorite. So don’t sleep 8 hours a night on a bed full of dust mites! Specially crafted dust mite covers come in sizes for all beds and pillows. And most are extremely breathable, soft, and washable – which makes them a smart, affordable investment!